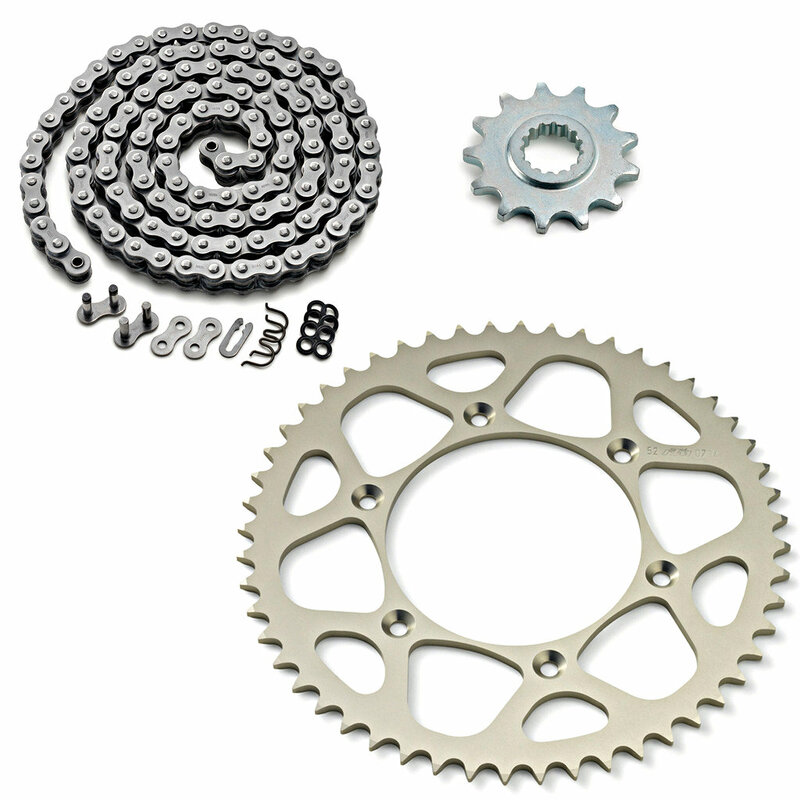 BeschreibungDrivetrain kit comprised the front (16T) and the rear (38T) sprocket and the chain. Fits for 990 SD/SD-R '06-'13. Will fit other models, please look into FicheFinder. Drivetrain kit comprised the front (16T) and the rear (38T) sprocket and the chain. Fits for 990 SD/SD-R '06-'13. Will fit other models, please look into FicheFinder.